It is December once again and everyone’s busy decorating the good old Christmas tree. The snow is falling and the streets are lit up like a million stars. Oh how I love the Christmas season! It’s everybody’s favorite time of the year. 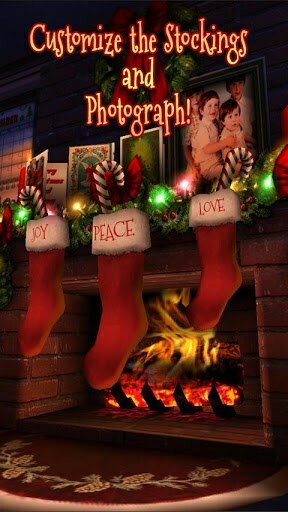 Giving gifts, getting together with family, greeting your loved ones, and impatiently awaiting gifts from Santa Claus. While nothing recreates the exact feel of the revered festival, there are a few Android apps would will help you bring the look and feel of Christmas right on your smartphone. 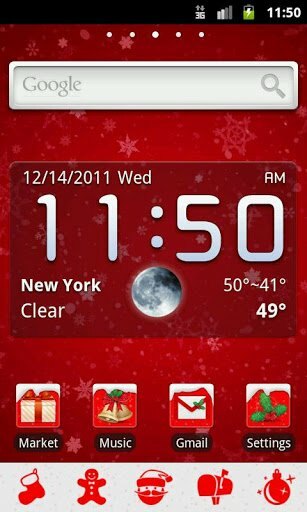 These apps bring a lot of Christmasy variety to your smartphone by decorating it with nicely themed countdown timers, live wallpapers, launcher themes and more. 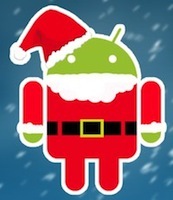 So, if you’re as excited about Christmas as I am, then here are some of the best Christmas-themed apps for your Android device. If you are using GO Launcher and are excited about Christmas, then this app is just for you. Once installed, your phone gets that red and white Christmasy feel that we all love. Of course, you’ll need to install GO Launcher first for it to work for you. 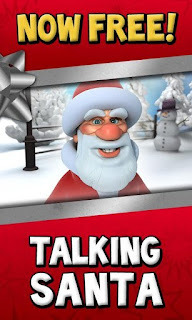 From the makers of Talking Tomcat comes this unique app that lets you talk to Santa Claus for free. You can talk to him, ask him for some gifts and even tickle or poke him if that is what you want to do. And if he refuses to bring you any gifts, you can simply slap him or hurl a huge snowball at him. I guess I will have to throw many snowballs if he doesn’t send a brand new Google Nexus 4 my way. Hmmmph! While the Elves are busy with the Christmas preparations, the lazy Frost Giant is found oversleeping. He was the one who was supposed to bring the snow for Christmas. Now, a delegation of Elves has been sent to the Giant’s cave to wake him up and ensure that he completes the task. This app continues the story of the Elves and the Frost Giant revealing each chapter of the story, one day at a time. 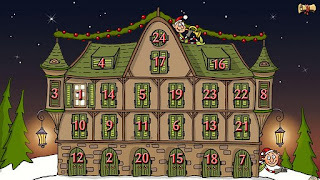 This also serves as a fun Christmas countdown in the form of a wonderful story. 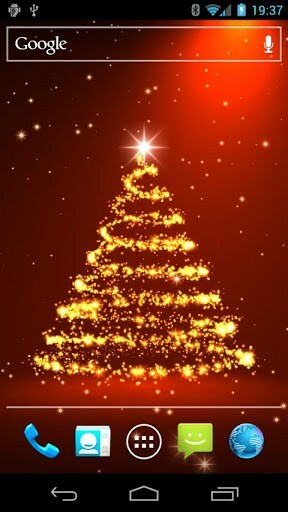 This free live wallpaper lets you put a beautiful Christmas tree right on your Android home screen. You can choose how the tree looks, whether it is happy, normal or frozen. Furthermore, the app lets you configure various settings like lights, sparkling, sound, time of the day, and snow speed. This is another great live wallpaper that also serves as a Christmas countdown timer. 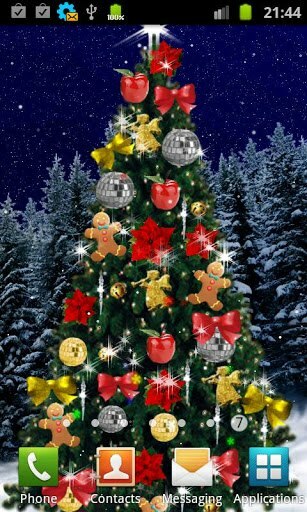 With an interactive image of sparkling fireworks in the shape of a Christmas tree, this free app makes your smartphone look gorgeous. The live wallpaper can be configured to your liking. Moreover you can also use it after Christmas as it works for Valentine’s Day and many other occasions. Christmas HD is another great live wallpaper application for Android. Meticulously detailed and that too in true 3D, this app brings a realistic Christmas experience to your home screen. Like most of the good live wallpapers out there, this one too can be customized to your liking. 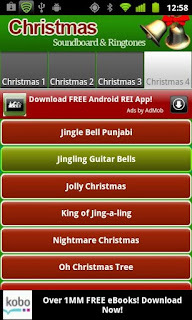 This free application brings the best Christmas ringtones and soundboard to your Android device. From The First Noel to Joy To The World, this free app lets you use any tune as your ringtone just by simply clicking a button. 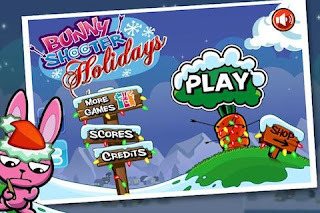 Bunny Shooter is an amazing puzzle game for Android. The premise of it is that you shoot evil fluffy pink bunnies with your bows. Though the game resembles Angry Birds a lot, it’s still worth your time. Just in the right time, the developers have come up with a Christmas-themed version of the application making it even more fun to play.